Last week was a very sad week for me. 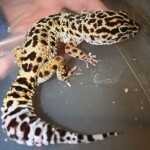 My leopard gecko, Dude, developed some pretty nasty abscesses that needed surgery. 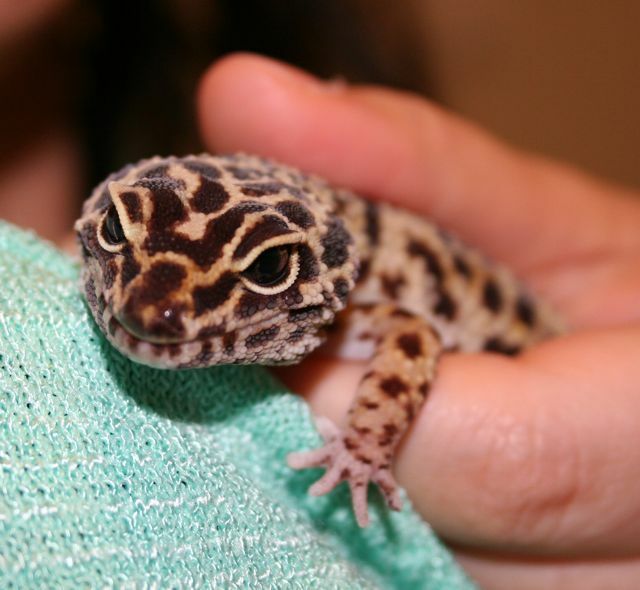 Courtland and I looked up the lifespan of leopard geckos and what we found was that they live “into their teens” typically. Well, I had had Dude for 11 years and before that he had belonged to my friend David T. from whom I had purchased Dude (then named Bibo) when his son got a dog and the gecko wasn’t getting much love. It wasn’t until after all this that I asked David how old he thought Dude/Bibo was. We actually think the number is somewhere around 14. Anyhow, even with the estimated 13 years of age I gave the vet, he thought surgery was the best option. I had actually gone in thinking that Dude was looking so bad he would be put to sleep, but that option was not even offered to me, so I went ahead with the *gulp* $500 procedure. ON A LIZARD. But this was Dude. 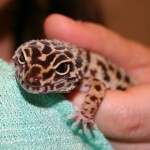 He was the coolest gecko ever. He would look outside his terrarium and watch us (cats included). Sometimes he’d wiggle up the side of his cage and show us his belly. He got an eye infection once a few years ago and the vet told us he was a she…Dudette? So the past few years we’ve been trying to say “she” but still called her Dude…and then found out this last week that SHE was, indeed a HE as first presumed. If you were holding Dude and ran your finger under his chin, he would stick out his tongue. Every time. So rad. On Thursday evening I picked Dude up from the vet. He was looking much better without the huge abscess on the side of his head/jaw, but he was not moving much and I can only imagine he was in a world of pain. I didn’t like how the vet assisstant picked him up and flipped him over to show me his stitches. I didn’t need to see them, and I really didn’t think Dude needed to be flipped over and handled after having 4 incisions made on his little gecko body. I honestly think that’s when he turned for the worse. I got him home, put him in his little sauna, and monitored the heat in his cage all night. At one point he moved his head and backed up a little. I had a horrible feeling he was trying to turn over (the way lizards turn over when they die) but lacked the strength. He never moved again. In the morning I called the vet and told them he hadn’t made it. I’m actually really unhappy with how everything was handled. 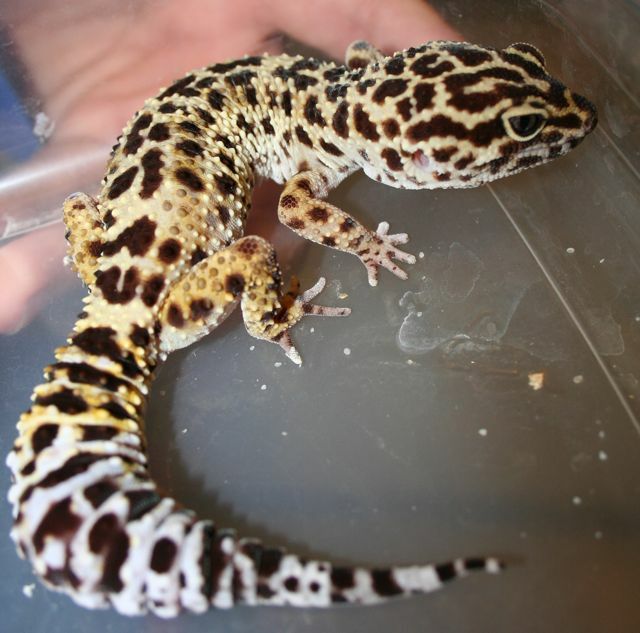 I felt like such a monster for even considering not doing the surgery and putting him to rest, and they were not supportive of that option…and now they have my $500 and I don’t have a gecko. I’m bummed. Bye bye Dude! I’ll miss you, little guy! You are currently browsing the Shelby Cass's Weblog blog archives for December, 2009.